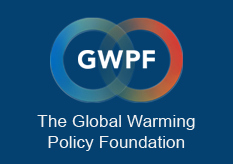 London, 2 April: The Global Warming Policy Foundation (GWPF) is delighted to announce that our book Population Bombed! by Canadian authors Pierre Desrochers and Joanna Szurmak has been shortlisted for the prestigious Donner Book Prize. The Donner Prize annually rewards excellence and innovation in public policy writing by Canadian authors. In bestowing this award, the Donner Canadian Foundation seeks to broaden policy debates, and make an original and meaningful contribution to policy discourse, all of which will contribute to an even stronger and more inclusive Canadian democracy. The 2018/2019 shortlist titles were chosen from a field of 70 submissions. The winner receives $50,000 while each other nominated title receives $7,500. The winner of this year’s Donner Prize will be announced at an awards ceremony at the historic Carlu in Toronto on Wednesday 1 May 2019. Many scholars, activists and policy-makers have linked population growth to environmental degradation, including catastrophic climate change. The authors argue that significant improvements in human well-being in recent years, longer lifespans, improved health, abundant resources and a general improvement in the environment, counter this claim. Desrochers and Szurmak provide a useful and provocative contribution to the policy debate by challenging the models and assumptions upon which the new population control narrative is built, and argue that population growth alongside economic development represent the only practical way forward. Pierre Desrochers is an Associate Professor of Geography at the University of Toronto. Joanna Szurmak is a doctoral student at York University’s Department of Science and Technology. More information about the Donner Book Prize and its 2018/19 shortlist can be found here. If you are interested in buying a copy of Population Bombed!, it is available to purchase on Amazon.